My daughter, who is a pretty amazing artist, drew this picture of Double Dots, using one my blog pics as a reference. 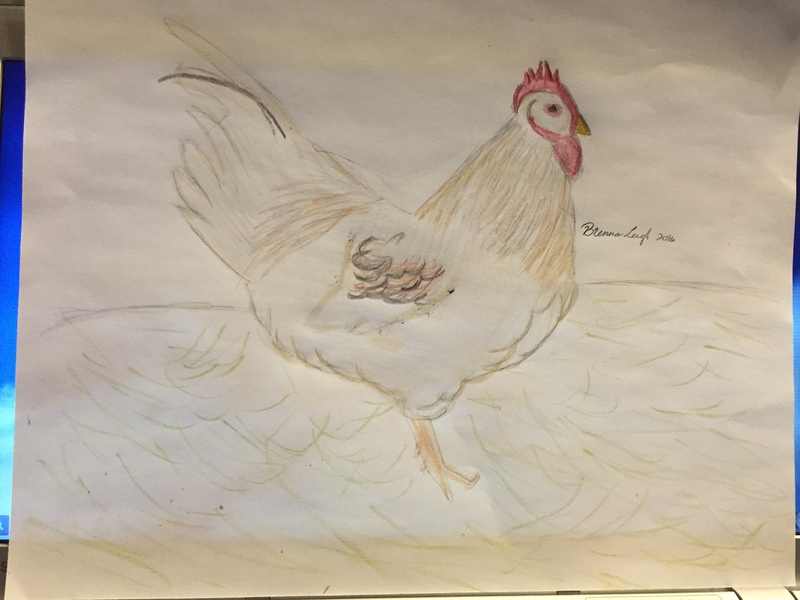 This is her first time drawing a chicken. Double Dots, as drawn by The Girl. She has talent! Definitely encourage her.